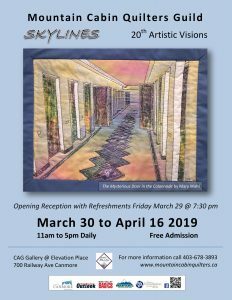 Work is underway to prepare for the 2019 Artistic Visions Show with the theme « SKYLINES ». 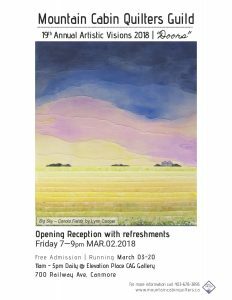 The opening reception on Friday March 29th from 7:30-9 pm at the Canmore Art Gallery in Elevation Place. The gallery will be open from 11 am till 5 pm daily from Saturday, March 30th till April 16th. The dates for the show have been announced. More information will be published as it becomes available. 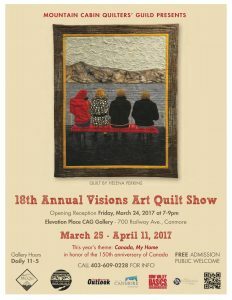 “Artistic Visions” is the only annual original quilt Art shows hosted in a gallery in Canada. 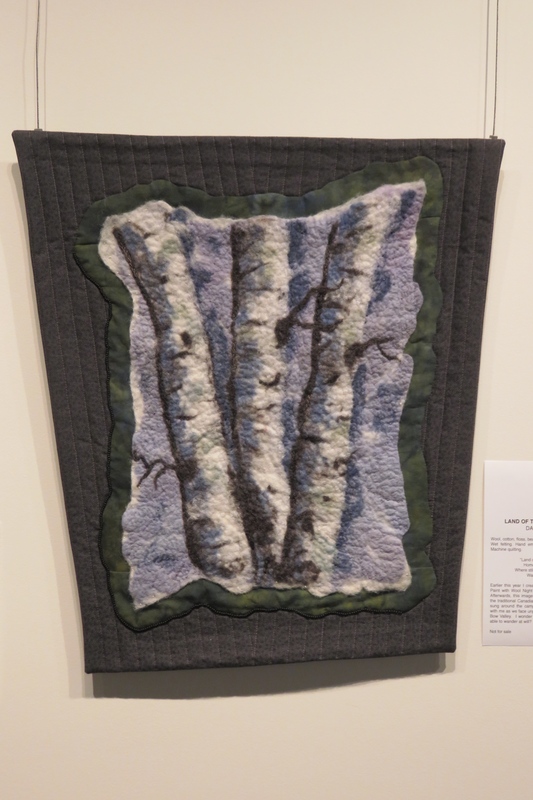 The guild's first original quilt art show was held in 1999 at the Canmore Library Gallery. It ran for ten days, breaking all prior attendance records for the gallery. 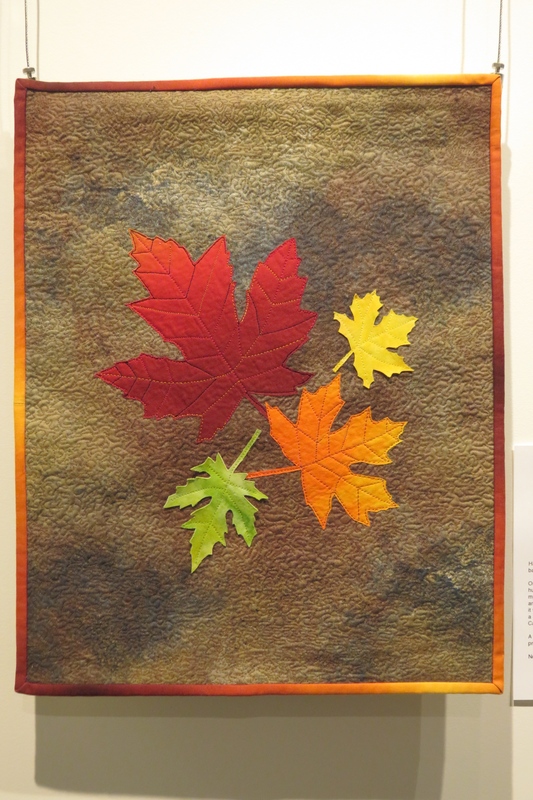 Members are challenged to produce their own original quilt art for display in the visions show. 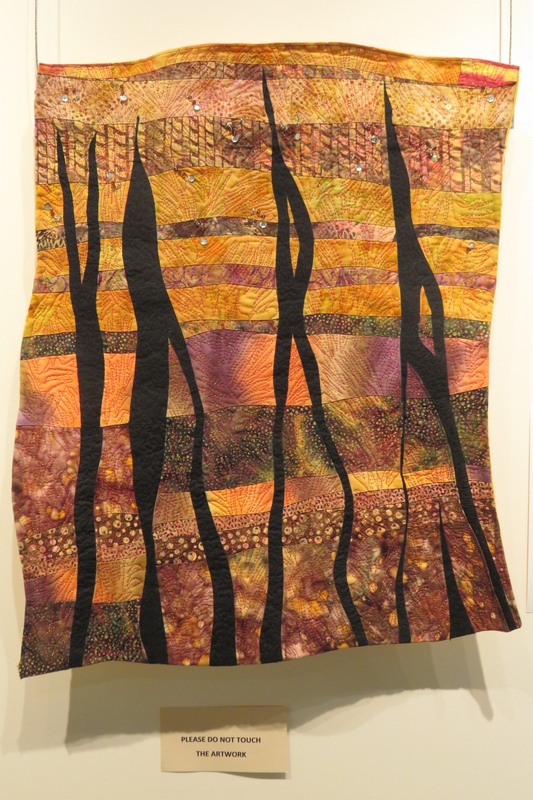 What Do We Mean By "Original Art Quilt"
Art Quilting – “You’ve Come a Long Way Baby! As women fought for equality in the 60’s the art quilt world was born when several well-known American artists, several of them females, started using fabric as their medium. 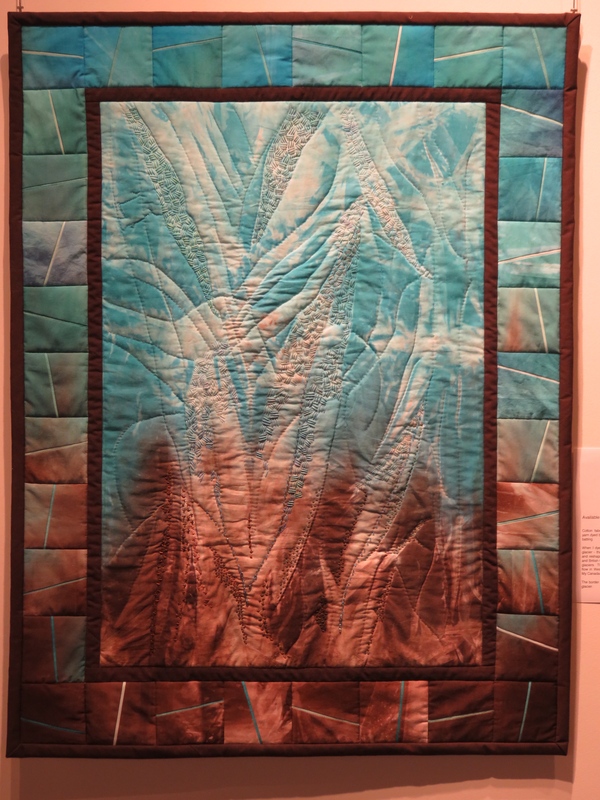 Over the next fifty years adventurous artists brought new creative designs and techniques to traditional quilting. The art quilt movement has fought a challenging battle for acceptance even within the world of quilting. 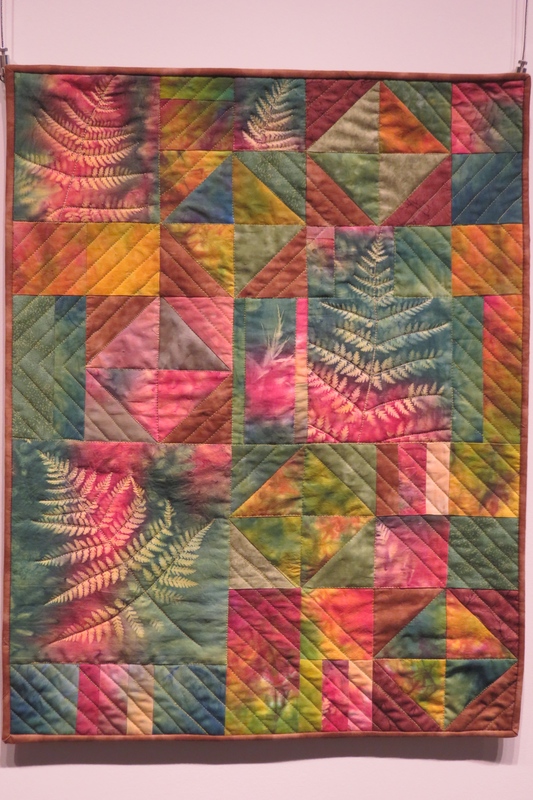 In 1961, the Whitney Museum of American Arts seminal exhibition Abstract Design in American Quilts introduced the concepts of quilts as objects of art to a national audience for the first time. 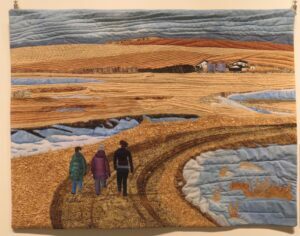 In the mid 70’s individuals like Nancy Crowe and Michael James were the prominent artists working with quilts as their medium. 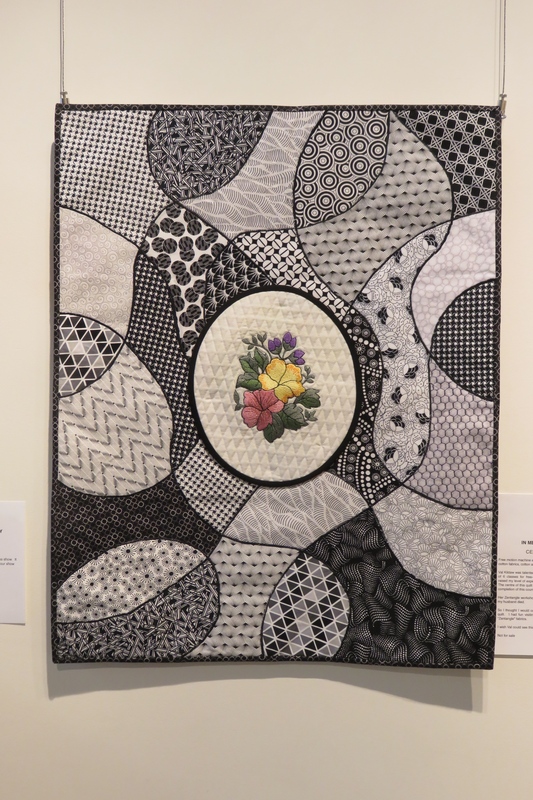 The first Quilt National exhibition in 1979 created a venue for the increasing interest in art quilting all over the world. 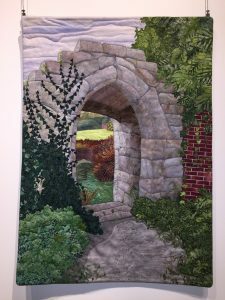 Many of the artists who displayed their work at Quilt National next took their quilts and techniques to share with quilters in Europe, Canada and Australia. 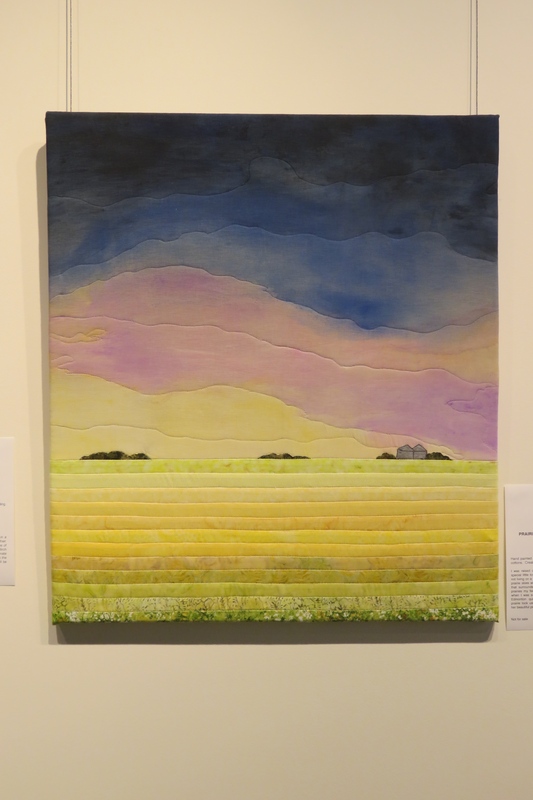 The world of art quilting thus became a movement. 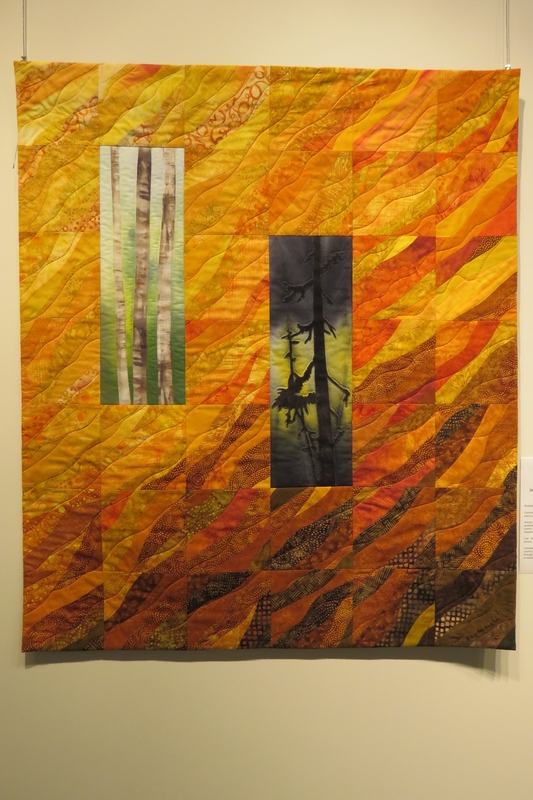 The world of quilting today graciously includes both art and traditional quilting. 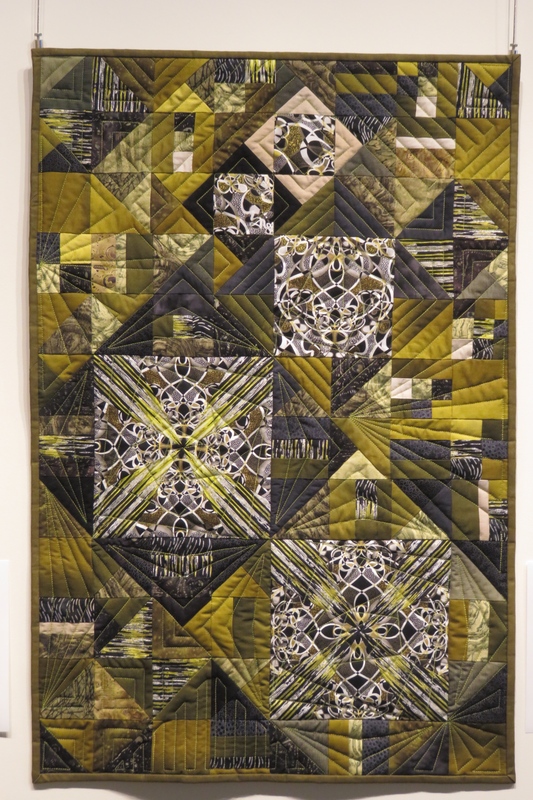 Contemporary quilters continue to evolve and inspire others.